I had some leftover pumpkin in the refrigerator and saw a friend post on Facebook that adding pumpkin to your oatmeal was a delicious treat. 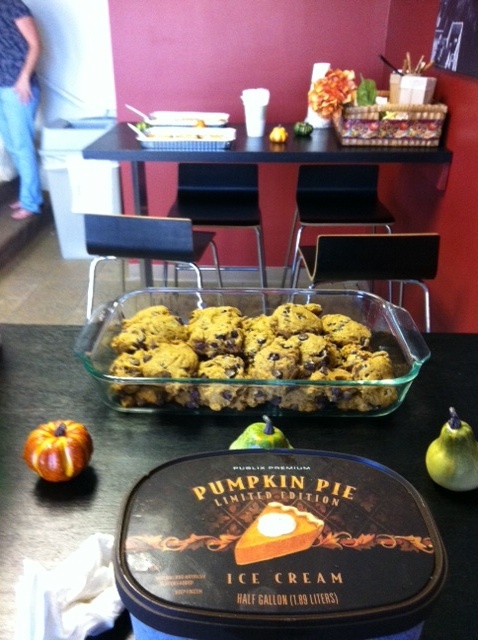 And with my fall obsession with pumpkin, you know I couldn’t resist. I added a tablespoon of pumpkin, a teaspoon of cinnamon and a small squirt of lite butter syrup to my instant oatmeal and it was indeed delish! I’ve never really added anything but syrup to my oatmeal before. This really makes me want to explore what other goodies I can mix in. Do you ever mix anything in to your oatmeal? If so, what? 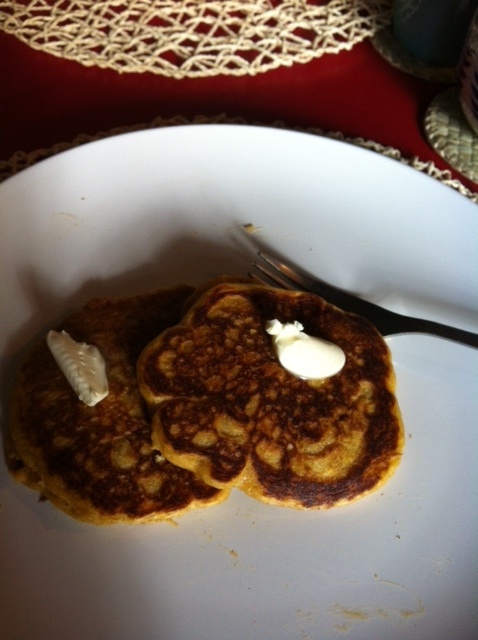 To continue feeding my pumpkin obsession, yesterday morning I made pumpkin pancakes. 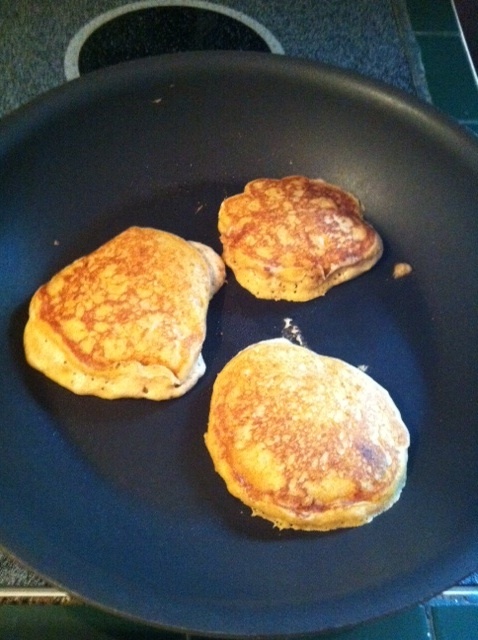 On Allrecipes.com I found several pumpkin pancake recipes that looked both tasty and easy to make. 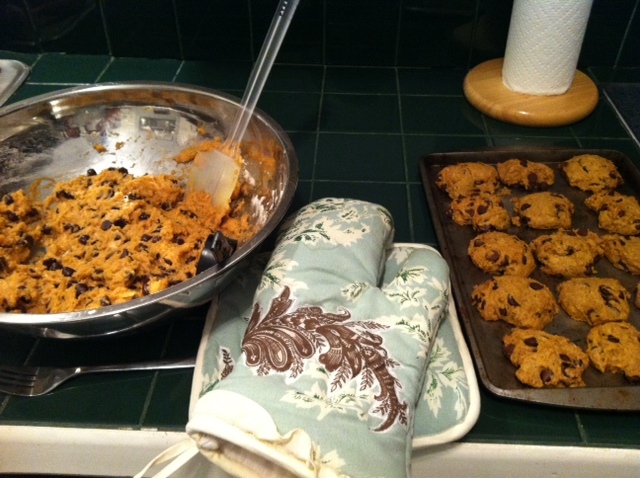 Usually, I tend to choose the recipe with the least amount of ingredients needed, but because I had a lot of the ingredients on-hand from my recent pumpkin chocolate chip cookies I chose this one. 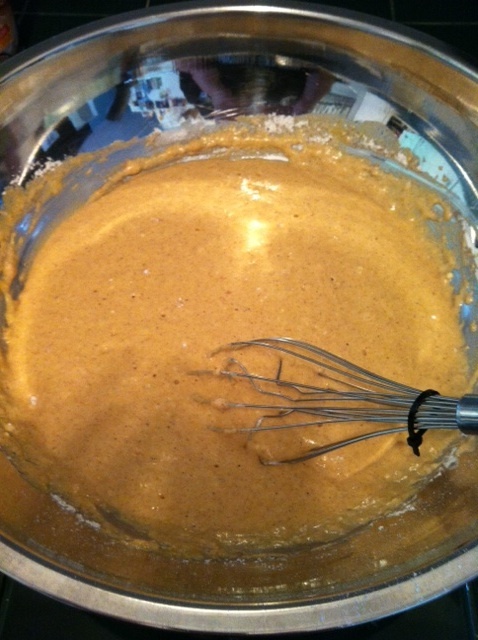 I mixed my ingredients in two separate bowls as instructed then combined into one bowl to get my batter. Then I used a 1/4 cup measuring spoon to portion my pancakes on a lightly greased pan. After a little trial and error, I realized I needed to flatten them a little so that my pancake wasn’t too thick and could cook all the way through. My house smelled delicious and the actual pancakes tasted like fall. I loved every bite. Breakfast is served. Nom nom. The batter made enough pancakes for 4 to 6 people. Since it was just me and Donnie, I stored the extra batter in the frig and made pancakes this AM too. My love for pumpkin is normal, right? I mean, I don’t need to start going to meetings or anything… not yet at least.